Over the past few weeks, we have spoken a lot about localization and the benefits it can bring. Just last week we focused on so-called unpopular languages that are not the most obvious choices when companies consider localization of their websites. However, we never truly covered those ‘top’ languages in the first place, so today we will try to address this. As touched upon in earlier articles, there are ten languages that cover most of your potential visitors. 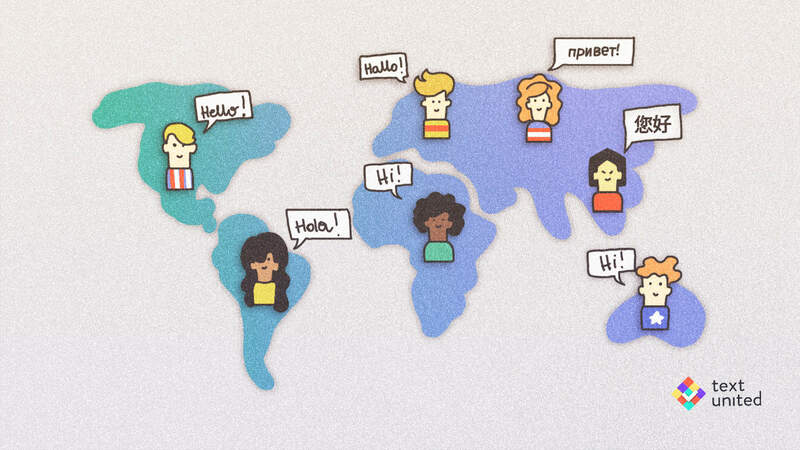 With these ten languages, you can reach out to a global audience from the start. These ten languages are English, Chinese, Spanish, Arabic, Portuguese, Indonesian/Malaysian, French, Japanese, Russian, and German. Let us cover them individually and see the pros and cons of localizing your content into these languages. The unofficial language of the world wide web since the first website launched in 1991, English is surely the first choice when it comes to localization. It’s also the most prominent language that has more people speak it as a second language than as a native language. It has the most internet users, and the number of estimated number of websites that are in English is hugely disproportional to other languages, although other languages are on a huge rise. No surprise English is considered lingua franca of the internet. Chinese is interesting to many companies due to the fact that China is a huge market which is often quite difficult to penetrate. The number of internet users who speak Chinese is not much lower than the number of users who speak English, yet the estimated number of websites in Chinese is barely above 1.5 percent. Companies who want to tap into this market need to localize their website carefully, bearing in mind the cultural differences to the Western markets. The benefit of localizing your content into Spanish comes from the fact that Spanish is the official and unofficial language of many countries, spanning Europe, South America, the Caribbean, and Africa. Spanish is also the unofficial second language of the US, so the target demographic is huge and versatile. Like Chinese, Arabic has witnessed a huge increase in internet users in recent years. Spoken in a huge number of countries, and having nearly 220 million internet users, it is strange that barely 0.5 percent of the world’s websites are actually in Arabic. Markets in which Arabic is spoken are also specific and you need to pay attention to the localization process of your content, from the message that you want to convey to images used on your website. Like Spanish, Portuguese is also spoken in a large number of countries, but the number of websites in Portuguese is still quite low – it falls just short of 3 percent. It is a great opportunity for users who want to reach a global audience, as it has a huge number of native speakers. As another language which is widely spoken as a second language, Indonesian/Malaysian boasts nearly 170 million internet users, but it is also very specific when it comes to localization. Perhaps this is the reason why only 0.3 percent of the world’s websites are localized into Indonesian/Malaysian. Localizing your website into this language might give you a competitive edge in this market, due to the evidently low number of Indonesian/Malaysian websites. The language of diplomacy ranks high on the world wide web as well. It is spoken in a large number of countries, France and Canada being the most prominent ones. It opens your website up to nearly 120 million internet users who will thank you for taking their language into account. Over 4 percent of the world’s websites are in French, so perhaps it is time you join that trend. Almost all Japanese speakers actually speak it as a native language. Japan has a highly dynamic market and entering it without a localized website is nearly impossible. The fact that 3.5 percent of the world’s websites are localized into Japanese shows that localization is important for Japanese users. When localizing your content, you have to pay attention to the nuances of the Japanese culture. It comes as no surprise that Russian is in the top ten languages for localization. Having a large number of native speakers and people who speak it as a second language, the market in which Russian is used is very large. It’s also hardly shocking that the number of websites in Russian is second only to English and German. Germany has by far the lowest number of speakers and internet users on this list, but it takes second place when it comes to usage on websites. Germany, Austria, and Switzerland, as the most important German-speaking countries, are huge and wealthy economies; localizing your website into German is almost a no-brainer. Depending on the perspective, for instance, usage on website vs. the total number of speakers, there are a couple of other languages which deserve honorable mentions when considering your first localization efforts. The first is Italian, with 68 million speakers, and 2.4 percent of the world’s websites being localized into Italian. The second one is somewhat unexpectedly, Persian, with 110 million speakers and 2 percent of websites using it. This shortlist ends with Turkish, Polish, and Dutch. All three languages have a good online presence with around 1.5 percent of websites localized into each of these languages. What are the top languages to localize your product into? Localizing your website into one of the top ten languages, and, perhaps some of the contenders lying just outside this list, puts your business at an obvious advantage. Rather than thinking about whether you should localize into these languages, your main concern should be defining the order in which you will localize your website into different languages. Each and every language will bring new profit, which will, in turn, open new doors for you. Of course, it doesn’t happen overnight, but it’s the quickest tool you have at your disposal. If you are ready to go global, check out our system and contact our managers to find out how you can make the first step!